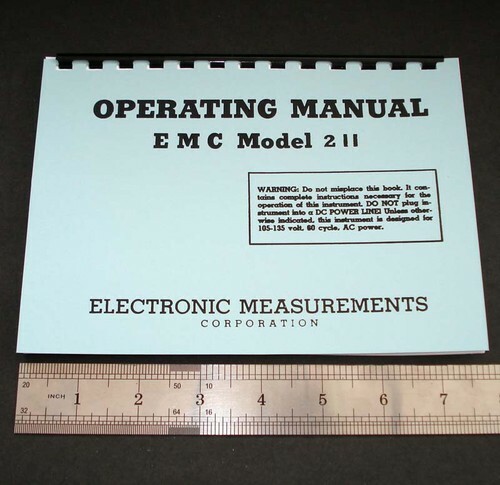 For sale is reprint of EMC Model 211 Operating manual and tube test data manual. Manual is printed on heavy 28lbs paper with heavy cover stock covers. Booklet is 40 pages long, in 5.5×8″ format same as original. If you purchased one of those testers from Ebay and it did not come with Tube Test Data or your test data is old, here it is.